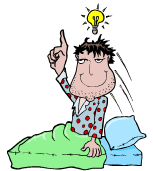 Insomnia or a Wakeup Call – Which? You find yourself slipping into a conference hall unexpectedly. You are confronted by 1,000 participants listening to the conclusions of six very wise looking people at a table, explaining the outcomes of the summit. They are talking about a summit declaration by providing 5 calls for action for a Wake up. Sounds more than interesting, even important. Now you quickly settle down into your seat, trying to ignore a few turned heads frowning at this sudden interruption after spending their three days working through this Wakeup Call and are quite rightly listening intently. This seems critical, you settle down to listen also. Deliver on the widely accepted and appreciated new instruments and policies (2014-2020) in support of innovation. Build a culture of ‘fail fast’, ‘risk tolerance’, and ‘fast capital’ to cross the valley of death. Create a predictable policy environment and embed innovation as a principle in all measures and decisions. Engage in joint thinking and acting across sectors and along the value chain. Change what you do: a deep mindset change is needed at all levels: companies, administrations, and citizens. So you have guessed where you are yet? No, well you are at the winding up of a three day innovation summit held by Knowledge4Innovation (K4I) as the 5th European Innovation meeting that took place in the European Parliament from 30th September until 2nd October 2013. Apart from 1,000 participants attending, there was in also in attendance three EU Commissioners, 30 members of the European Parliament and 150 speakers contributing their thoughts. According to the press release the conference summit was the largest ever, comprising of 25 events, including the opening and closing ceremonies, a series of conference sessions, workshops, breakfast, lunch and dinner debates organized by summit partners, as well as an exhibition and two press breakfasts. Am you as overwhelmed by these 5 calls for action to Wake Up Europe? Yes, these five calls are the suggested action calls to wake up Europe to go and innovate. Now I’ll be honest here, I’m struggling with these. Without the benefit of attending any of the 25 events, listened to the varies debates, taken a pulse of the mood within the conference all I’ve got to go on is these five actions to Wake Up Europe. Actually I didn’t even slip into the hall, I did not attend, I just got sent the press release from the event and from all my investigations and reading I’m a little lost here. I’m sorry, no really sorry but is this really the best set of outcomes we can do in Europe? Europe is facing unprecedented challenges; Europe’s very existence is being threatened. Competitiveness is eroding, standards of living are falling, economic forecasts still part offer some dark scenarios of economic decline, ageing populations, social capital and labour force shortage, increased food, energy and water constraints and a changing role of the EU on the global stage. Let alone the rosy picture of complete integration is caught up in a leadership impasse. We are simply failing to rise up to the challenges we have confronting us here in the EU. So we have ‘arrived’ at 5 calls to wake up Europe on the innovation front! These five? So yes Europe does need to wake up to become really effective on innovation especially execution. Yes, it must give innovation a primary role for its paramount importance within the growth requirements across each region within the EU. It must drive innovation down and across all its members countries in better collaborative ways, as each is competing increasingly within a tough global battleground and needs the ‘power’ of combining on finding both radical and innovation breakthroughs. It needs to innovate to get out of numerous sets of crisis. So let me ask you, do you think the 5 calls for action will waken up innovation in Europe? In my opinion, I think Europe is utterly sleep walking even delusional. So yes, it does need seriously waking up for innovation, I totally agree but with these 5 calls to action? No, Really? Seriously? Am I missing something here? Here is Europe we are dealing with all three types of sleep disorder, we are in a very disturbed sleep deprivation, we are or it seems exhausted, incapable of changing our position. It has all got simply to big, too complicated and far too difficult. We lack much and can’t even a more powerful call to innovation action than these five…. actions. He also suggests in Europe: “there are extraordinary situations in which cognitive sensitivity, imagination; courage and willingness to take responsibility (by) those in charge have an impact on the progression of things“. I don’t see this rising to the significant challenges confronting Europe by our present leadership. Surely in any ‘universal’ call for action we do really require from innovation, then we need to find statements that will resonate with all within Europe. That is: EVERYONE go out and make a significant impact on growth through innovation within the EU and we all will support you in every possible way – cutting down the obstacles, removing the barriers, solving the red tape, pushing in every way all the enablers to help you innovate successfully. I simply don’t sense this from this 5 calls, they are just going through the motions of existing (entrenched) positions. There is no wake up call here. Transient insomnia– this lasts for about a week or so after a conference like this one that I’ve been trying to figure out. You suffer conference deprivation but you soon forget about it as you quickly pass onto another disorder that keeps you in your depression and stressed environment. You do not have time to piece it all together. Acute insomnia – You feel restlessness for some time after one of these conferences as you really can’t get any new momentum going. Even not as a direct result of the meeting you attended for three days, listening to some incredible, well qualified speakers. You are suffering this acute disorder where nothing really changed to allow you to render any change in your own environment. You still face the same factors of innovation disorder when dealing within innovation inside the EU, can you wait for ever, even in times of crisis? Finally, Chronic insomnia and the most serious. This really does last for a long time. This is our primary disorder, the very reason for our insomnia. Perhaps that is the 2020 real target. We not just suffer continued (innovation) fatigue, we really have got totally caught up in the hallucinations and mental issues that those deeply affected see things happening in slow motion, where moving objects just seem to blend together but really are deeper symptoms of impaired vision that causes double vision – we double our efforts but don’t solve the primary disorder. We are all caught up in this chronic insomnia when it comes to innovation within Europe. We even begin to use the innovation mantra of “fail fast, risk tolerance and fast capital” to cross from this valley of death. I’d like to believe we will become fully engaged but it has to be far more radical for innovation to really deliver. It really does not matter if we agree or not that we have to Wake Up Europe, or we are all caught up in different levels of insomnia? I really can’t believe the 5 calls of action that concluded this meeting over three days of 1,000 participants deals with the fundamental crisis we face here in Europe for growth and igniting innovation. We simply are not really addressing our deep underlying EU symptoms within innovation with these 5 calls for action. Do you agree? Open Innovation, Technology Platforms and a New Business Model- All-in-One Biggie! Recently I was reminded about one of the most ambitious open innovation projects around- the Innovation Medicines Initiative- set up here in Europe. I think you will find this interesting to pick up upon. Without doubt this is one of the most highly ambitious and bold initiative I’ve come across. I think anyone seriously interested in the combination of open innovation, the use of a collaborative technology platform built around a novel new business model within such a highly competitive industry of Pharmaceuticals should watch this initiative with growing interest. It can point to significant changes in the impact and contribution of innovation management. From its initial concept inception in 2004 and 2005, with the IMI established in 2007 as a Joint Undertaking, it has operated as an autonomous body for approximately a little over two years as I understand it. Here I provide a fairly concise outline of its evolution and what challenges it is currently facing. It still is too long but it provides the essentials (I hope) on an amazing and bold initative here in Europe and worth reading until the end-really! With a €2 billion euro budget, IMI supports collaborative research projects and builds networks of industrial and academic experts in Europe that will boost innovation in healthcare. Acting as a neutral third party in creating innovative partnerships, IMI aims to build a more collaborative ecosystem for pharmaceutical research and development (R&D). IMI will provide socio-economic benefits to European citizens, increase Europe’s competitiveness globally, and establish Europe as the most attractive place for pharmaceutical R&D. The European Commission’s Seventh Framework Programme contributes €1 billion to the IMI research programme. That amount will be matched by mainly in kind contributions (consisting mostly of research activities) worth at least another €1 billion euro from member companies of the European Federation of Pharmaceutical Industries and Associations (EFPIA). Regulatory agencies, and finally any other industrial partners. IMI’s overall goal is to build a more collaborative ecosystem for pharmaceutical R&D in Europe and to speed up the development of more effective and safer medicines for patients. To reach this objective, IMI is creating unique, large-scale networks of innovation in pharmaceutical research. Joining forces in the IMI research and training projects, competing pharmaceutical companies collaborate with each other and with academia, regulatory agencies and patients’ organisations in order to tackle the major challenges in drug development. Predicting safety: more accurately evaluating the safety of a compound during the pre-clinical phase of the development process and the later phases in clinical development. Predicting efficacy: improving the ability to predict how a drug will interact in humans and how it may produce a change in function. Knowledge management: more effective utilisation of information and data for predicting safety and efficacy. Education and training: closing existing training gaps in the drug development process. To address the main challenges identified, IMI will harness the know-how and expertise available across Europe’s biopharmaceutical sector, by pooling competencies and resources from the public and the private domain. Modernise the development of medicines. Expand European expertise and know-how in new technologies to attract bio-medical R&D investment to Europe. Anchor R&D jobs in Europe and reverse the ‘brain drain’. Enhance Europe’s economy by strengthening the competitive position of smaller companies, enabling them to collaborate with a multitude of stakeholders. The strategic imperative for this scale and scope of collaboration was the driving force. A platform for better coordination, co-operation and collaboration among all the stakeholders involved in developing innovative medicines in Europe was seen as sorely needed. To change the present situation, there was a real need to form stronger links between the stakeholders, more efficient use of modern predictive methodologies and techniques, improved management and sharing of existing knowledge – not yet fully utilised – better exploitation of promising strengths and assets, and upgraded education and training. Equally the pharmaceutical industry is undergoing sharply worsening working conditions and many challenges. Escalating development costs, patent expiry on major products, increased competition including R&D activities on the global market, the perception of greater risk-aversion among regulators and worsening public image are conspiring to cripple the European pharmaceutical industry. This has been seen as a negative spiral that would become highly detrimental to the European economy as well as to patients seeking relief from disease and illness. Establish common standards for bench marking would give all equal opportunity to improve. Recently in 2011 a first interim evaluation report was made by a panel. At the time of the first interim evaluation, the IMI had operated as an autonomous body for approximately one year, had launched its first two calls and was about to launch the third call. Fifteen projects from the first call had kicked-off and were ongoing, and a further 8 projects from the second call were under negotiation. These projects have been launched in the first few months of 2011. The in-kind contribution from the EFPIA companies to projects in the first two calls is € 198 million and the financial contribution from the EU budget, disbursed by the IMI JU is € 190 million. This is slightly lower than what was foreseen at the launch of IMI (€ 199.5 million). The IMI interim reports objective was to is to address the bottlenecks currently limiting the efficiency, effectiveness and quality of the drug development activities needed to bring innovative medicines to the market and provide a clarification of the positive progress made. My extra note here -Just take a look at what they are attempting to address. Through the IMI JU, Europe has succeeded in establishing a new business model between public and private sectors, which unites research strengths across European pharmaceutical industry, academia and small to medium enterprises (SMEs). The consortia formed carry out focussed research addressing problems of immediate relevance to industry and future public health. To have formed and embedded this new, applied, research environment is a significant achievement for Europe. The IMI development has been meaningfully enhanced by its engagement with the regulatory authorities and patients organisations. To have succeeded here is rare, and taken together with the scale of interest of research organisations, is a tremendous illustration of Europe’s strengths in creating consensus and collaboration. By facilitating enhanced cooperation between academic, SMEs, patients organisations, regulatory authorities and the pharmaceutical industry, the IMI enables mutual learning and the opportunity to build understanding of respective rationales and approaches, with benefits to all parties. This is powerful. Although at a relatively early stage, the dialogue now underway across the participating groups aligns well with the IMI intent. The scientific scope of the initiative is well targeted, embodied in the IMIResearch Agenda, and the IMI JU has had the foresight to ensure that the Research Agenda is updated regularly. The first such review and update was on-going at the time of the Panel’s review. The financial resources available to the IMI JU, totalling €2Bn, make this the largest public private partnership in health research in the world. Yet the research challenges to be addressed with this sum are significant. The Panel was satisfied that the funding is being distributed adequately to help reach the objectives set and also saw appropriate consideration being given to the scope and scale of future projects to best achieve impact from the finite research funding. IMI constitutes a novel model for implementing the concept of “open innovation”. No other European programme has enabled cross-company collaboration within the pharmaceutical sector on the scale that has been achieved with IMI. This step is very important in developing open innovation in the health sector as it has enabled an unprecedented pooling of industrial research assets allowing scientific challenges to be tackled in a manner that could not be done otherwise. The advisory potential of several stakeholders, such the European Medicines Agency (EMA), is not exploited fully by the IMI. The lack of identified and used key performance indicators by the IMI JU risks making the output of the whole initiative diffuse. The Panel therefore came up with seven recommendations summarised below. Each is associated with a precise set of actions detailed in the report but not provided here. Ensure excellence and exploit new ways to support IMI scientific objectives. The Commission welcomes the interim evaluation report about IMI. It takes note of the recommendation of the evaluation panel. The Commission is committed to working with EFPIA to implement the recommendations addressed to the IMI Governing Board, where the two founding members work together to give strategic direction and oversight to the IMI. The Commission is committed to implementing the recommendations addressed to it and is open to collaborating with EFPIA and the IMI Executive Director implementing the recommendations addressed to them. Most of the recommendations can be implemented in the short to medium term and indeed many are already being addressed through actions from the Governing Board and the Executive Office. Both the Commission and EFPIA are recommended to dedicate enough staff to IMI. The Commission considers that both founding members have shown extraordinary commitment towards the successful setting up of IMI, including the launch of the IMI JU as an autonomous entity. Without doubt this Innovation Medicines Initiative is something to be watched. There is enormous learning to be gained as it evolves. It is tackling some incredible and well discussed barriers to innovation on a grand scale. Will it be successful, time will tell but recently the CEO of Glaxo Smith Kline, Mr Andrew Witty was very upbeat. The industry is reeling from much in disruptive winds blowing and battering at its door. Taking this one imaginative approach on its own will not solve all the ‘ills’ but can provide a catalyst of real change. It can also provide us all with some significant rethinking of what is possible, when something is in crisis, as the Pharmaceutical industry certainly is. This is a seismic undertaking that could have a profound impact on how we view collaborative innovation and what it attempts to tackle on the scale needed for many challenges we face. We can learn an awful lot from studying this initiative. Is innovation today expected as the panacea to solve all our problems? I am getting increasingly disturbed. This week two people I know and respect have been talking about the innovation effect. Is innovation the business process re-engineering of our decade; is it part of a bubble like the the dot.com boom. Is innovation simply a fad and fashionable to talk up when we are in the present economic uncertainties? Is innovation durable or will executives move on to new ‘feeding grounds’ as they smell that possible wind of change? Yes, possibly, I hope not. Innovation is still a very furtile feeding ground. Innovation is meant to be the catalyst of fresh jobs, new growth and leading us all out to the promise land of wealth and security. Can we place such a burden on the slim shoulders of innovation? Politicians here in Europe and America are using the past tool kit of tried and tested methods to kick start their economies, restructure the mountains of debt we have accumulated and generally stimulate growth. Our economies remains stuck, entrenched and resistant, even some are about to possibly plunge even further back. So it becomes “time for playing the innovation card”.